I am considering the purchase of a 960 square foot ranch built in 1948. It has a crawl space. 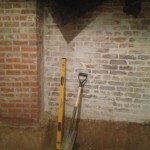 Please give me a ballpark figure for converting the crawl space in to usable condition. Please also give me a ballpark figure for digging out a 20′ by 26′ basement next to the crawl space.